I felt a surge of relief flood through me once the plane landed in Turkey at the end of last week. After leaving Kuwait I decided to take a much needed and long overdue vacation instead of returning immediately to Canada. First up: Istanbul. I always wonder how people decide on their travel destinations. For me I've always wanted to travel to three places in particular: Egypt, South Africa (actually anywhere in Africa that's safe) and Aruba. I've not made it to any of these places. So the question begs to be asked (that doesn't sound self-obsessed at all, does it???) why choose Turkey? Reasons: a.) It's relatively close to Kuwait (only three hours direct flight) and there's no time difference so you can maximize the actual time you have there; b.) I think that after visiting Lebanon I got a taste of the Middle Eastern culture that's intrigued me since I was very young. 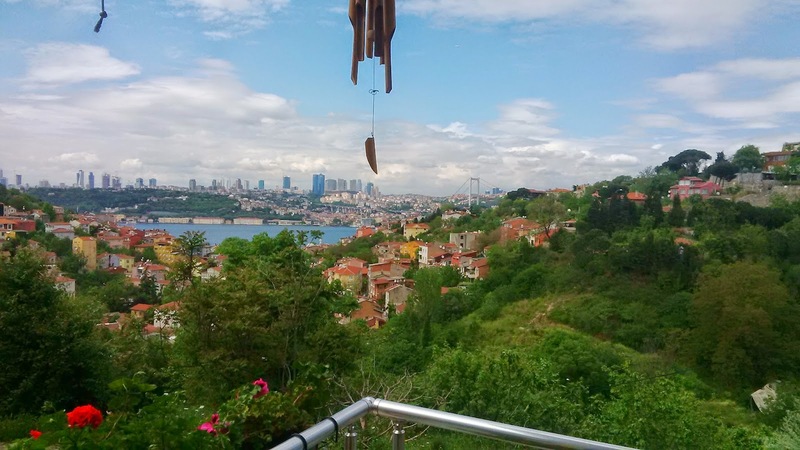 Seeing Turkey is an extension of that because of Turkey's historical involvement with Arab and Islamic culture; c.) I love the combination of a diverse population, great food, and nature (especially water). I will definitely talk about all three points as I blog! 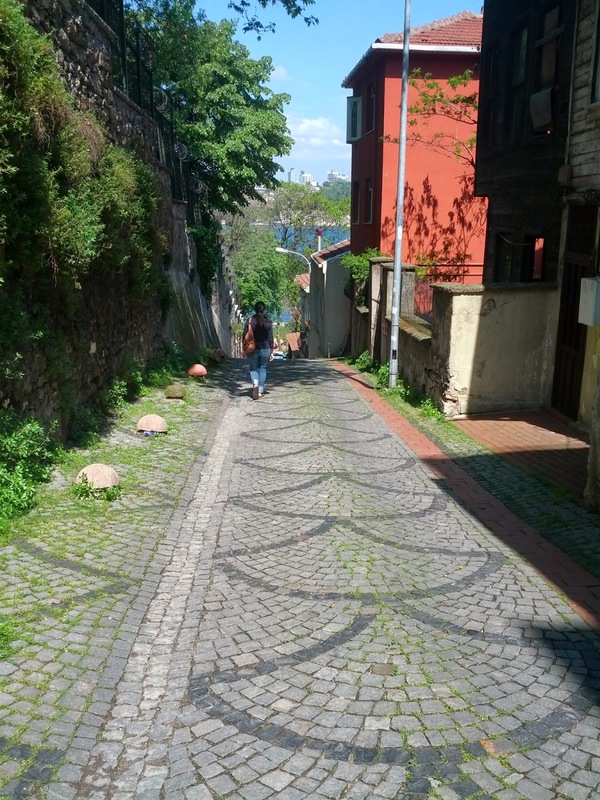 So, here I am in Istanbul and I'm so happy! The fresh air, nature, breathtaking scenery, mouth-watering food and obvious culture are food for my shriveled, dried up soul. I'm sorry to say that I've long felt deprived of most of those things while living in Kuwait. 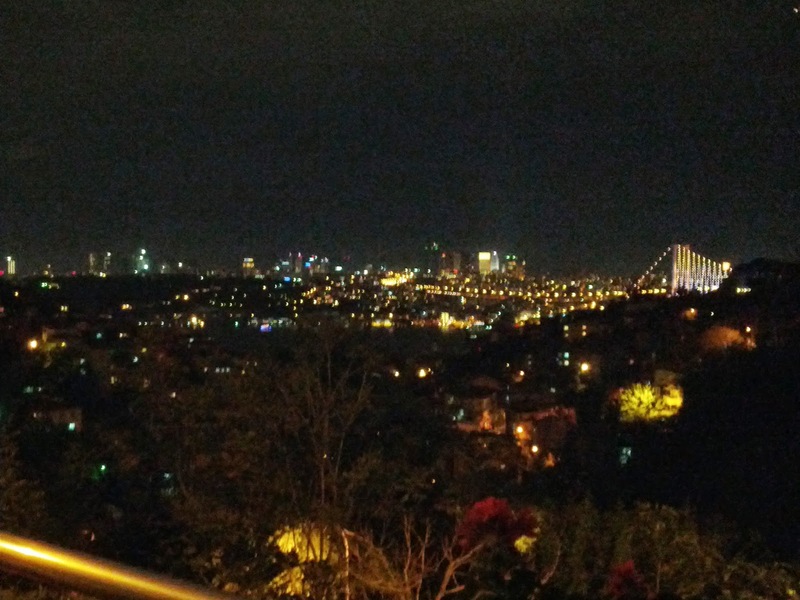 I'm staying in Uskudar (next to Kadikoy on the Asian side), which is known for its conservative Muslim community. It's considered to be quite a rural area. Stray dogs and cats happily roam around or lie contentedly in the sun-as they should; they are well looked after. Dogs are neutered or spayed (I believe by the city or an organization) and people leave cat food, milk and water outside for cats in addition to constructing cat "hotels". It's amazing to see animals treated with respect and care! Maybe I'm so obsessed with them because in Kuwait the stray cats (and dogs) were always scrawny and haggard-looking, eating out of the garage bins. Dogs were feared and treated with animosity...It was just sad to see. 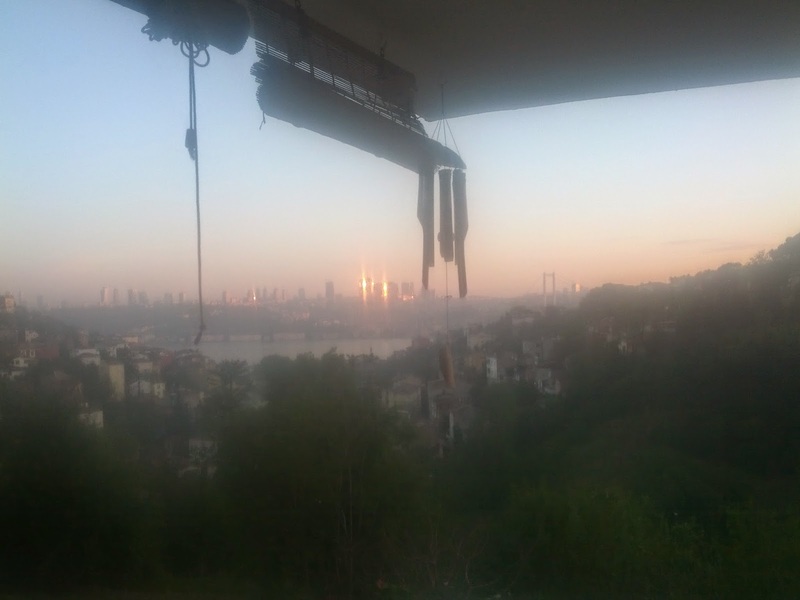 Back to Istanbul...The flat I'm renting has the most gorgeous view from the balcony. 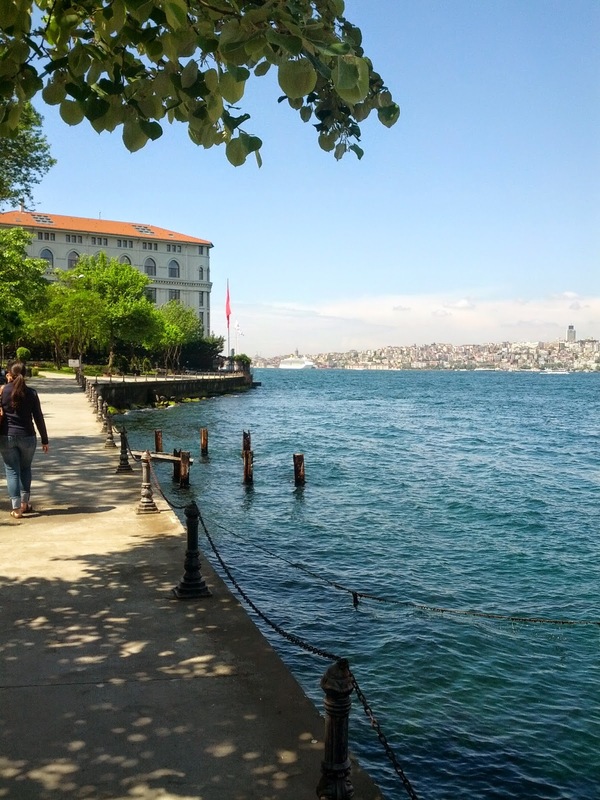 The Bosphorus Strait is a hop, skip and a jump from me (in actuality it's a 10-15 minute walk). The various public transportation available is amazing! I've only tried to take the Dolmus so far (I wasn't successful, but that was my fault because no one could understand me). I'll try riding it again though for sure! 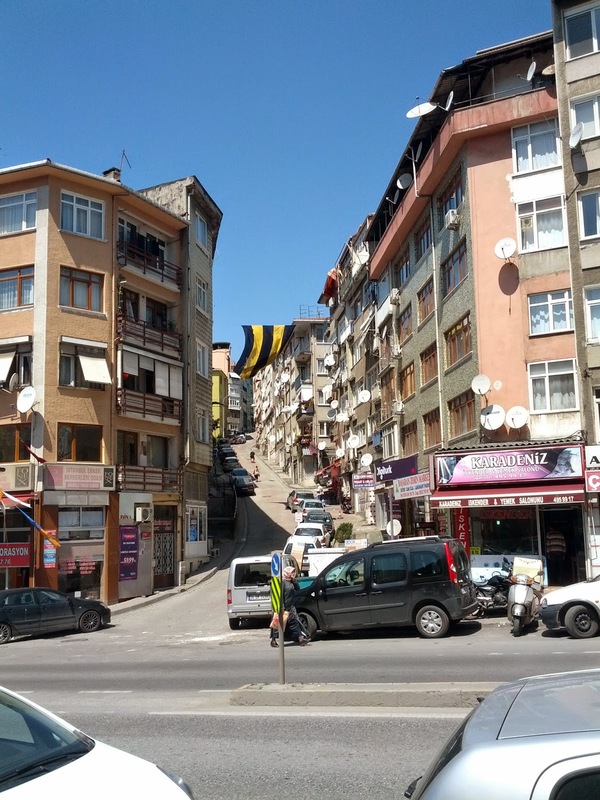 A dolmus is a minibus and is cheaper than taxis (for more info visit: http://www.turkeytravelplanner.com/trans/LocalTransport/Dolmush.html). I'm renting the flat from a woman who advertised on a website named airbnb (think Flipkey, Housetrip, etc...) and she's incredible! If anyone out there is interested in renting this little gem, please go to the following link: https://www.airbnb.com/rooms/54927?s=LSyB. You'll discover from reading all the praise that the host and the flat are both loved! The gorgeous view from the balcony! SOOO Green! The bridge lights up different colours at night! 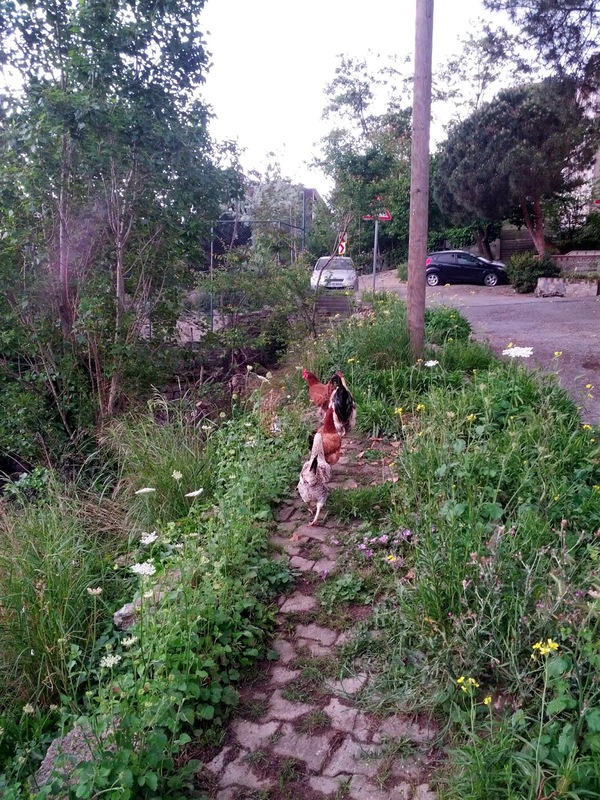 I've ventured out and familiarized myself with the neighbourhood. Most people here don't speak English, so it's pretty interesting doing things on a daily basis. There are virtually NO tourists here, hahaha! Let's be frank, I should have learned some Turkish before visiting. I have used a dictionary a few times and it has helped! I've eaten at a few places in and around the area and they are AMAZING! My top choices thus far are Seratonin (a wonderful eatery in an oasis of plants, hidden away off of the main road with an eclectic choice of furniture, but extremely warm and inviting!). Unfortunately, Seratonin doesn't have an English menu, so I just blindly picked something, lol! I ended up picking a cheese omelet and a platter of olives, vegetables (tomatoes and cucumber), honey, jam, something like a tapenade and bread. It was sooo good! It reminded me of Arabic and Mediterranean food. I'll let the pictures do the talking though. The place mat...In Turkish. I have no idea what is written. A typical Turkish breakfast (I was told). I've walked so much since arriving that I could cry. The first day I flew in I walked for about three and a half hours which is a lot considering the longest I walked in Kuwait (on average) was about an hour and forty-five minutes. The second day I went to the grocery store and had a humorous guessing game about ice...No matter what I did, I couldn't convey the meaning of ice to a bunch of guys who couldn't have been older than 18. I laughed it off, said thank you and accepted the defeat: Turkish-1: Mikiko-0. Homemade ice cubes it was! I only needed them to keep my Jack Daniels and diet Coke cold...Yes, I'm enjoying alcohol here! The liquor store opens at 9am!!! Anyhow, I then thought I would test my limited knowledge of Turkish and ask the butcher nearby for bacon. I doubted I'd find it, but thought I would ask anyway (I wanted bacon as a side to my eggs and smoked cheese for breakfast-I haven't stopped eating cheese! LOVE the local cheese!!!). Two butchers somehow understood my horrible pronunciation and shook their heads "no". Okay, so no BLTs for me. Turkish-1: Mikiko-1. Wooohooo! Only my first round, lol! The food was SOOO delicious!!! LOOK AT THAT CHEESE! Thank goodness I was walking DOWN that hill, not up it! Someone's proud of their team! That flag is MASSIVE! All of these shots of the area where I'm staying reminds me of Mr. Rogers' song "Won't You Be My Neighbour? ", lol!